United defender Chris Smalling has said there is no better place to win than at Liverpool, and explained how the new recruits have been briefed on the importance of the fixture. Mourinho’s men are off to Anfield on Monday night for their next Premier League game, and a win is vital to ensure they are not left behind by the league’s leading sides. Speaking to MUTV, Smalling said: “No. There’s definitely not [anywhere better than Anfield to win as a United player]. I’ve been lucky enough to win there a couple of times and it’s a great feeling when you make all those fans happy, as we’ve done our jobs and can go back to Manchester with a smile on our faces. “When I first joined up here, they all mentioned that obviously you know about [Manchester] City and United, but with Liverpool this is the one. United have enjoyed plenty of success against Liverpool over the past few years, and despite being knocked out of the Europa League by the Merseyside club last season, have won the last four Premier League meetings between the two teams. 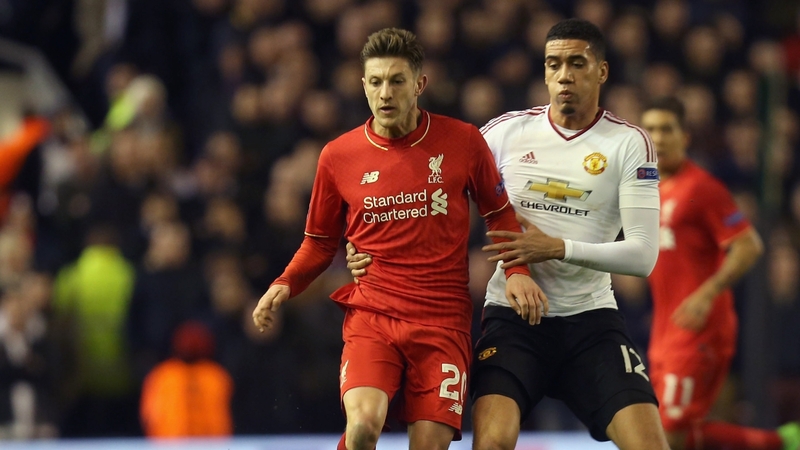 Smalling, talking about his experiences of playing against Liverpool, said: “They have always been tough games. “I think even in the last [Premier League] one [in January when United won 1-0 at Anfield], they probably played far better than us but we took our chance. “We know they’re a high-pressing team and we’re not going to get much time on the ball, so we need to be prepared for that. Smalling also emphasised the importance of the players keeping their heads and not letting the emotion of the game take over. “All week, we’ll be working on tactics and quite often, in the first 15 minutes, the plans can go right out of the window until the game settles down,” he said. “It’s one of those where we must keep a cool head and implement our game plan to exert pressure on them. “It is intense. It’s 100 miles per hour. It’s one of those where the manager has stressed again this week that we need to keep our emotions in check because even players who haven’t been at United long know how important this fixture is. “It’s about controlling our emotions and keeping all our men on the pitch. It’s a game where I think you need to play to your maximum.